Hanging in the yoga “home”. So bright, sunny, and peaceful. It’s been rainy lately in Shanghai. Late winter or spring? I’m not sure. 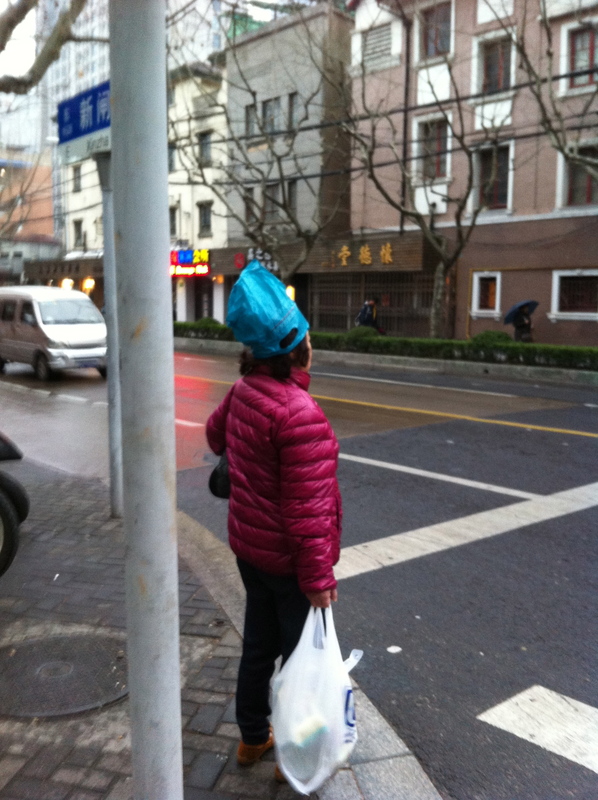 Don’t have an umbrella? Put a bag on it! (It wasn’t even raining that hard at the time). 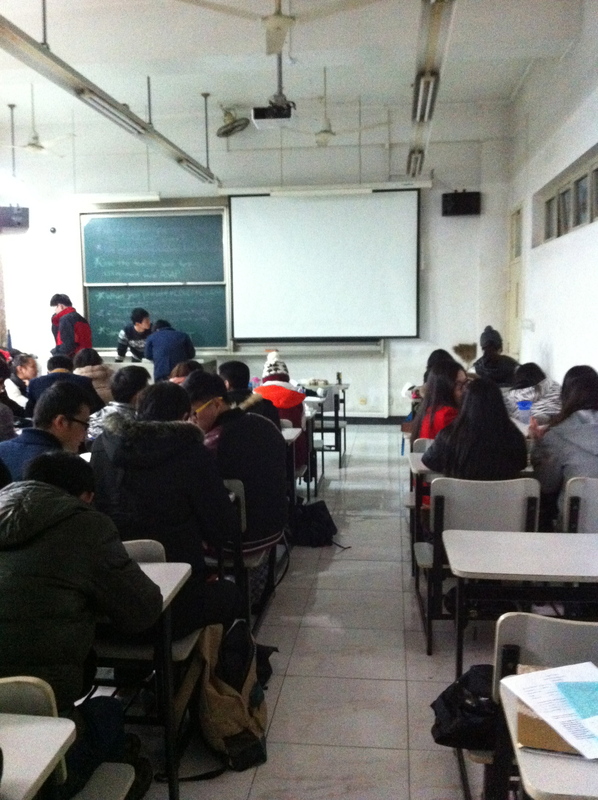 My classroom. Preparing for group presentations.